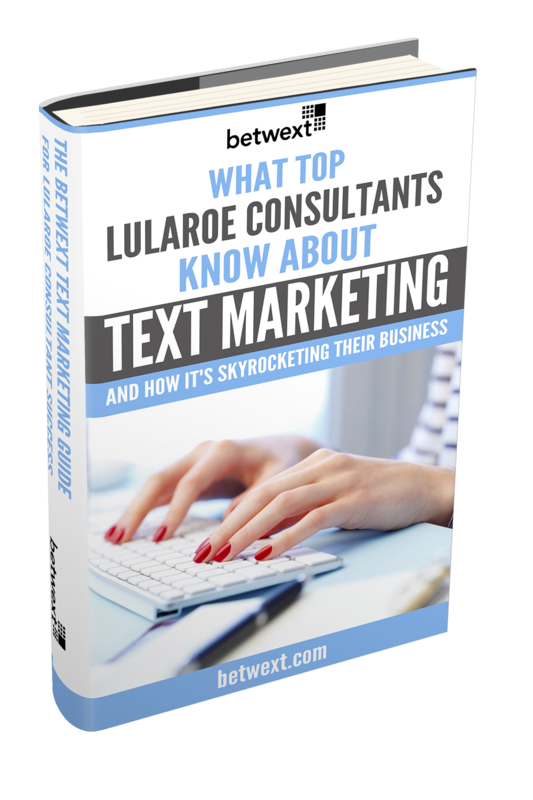 HomeBlogLuLaRoe Success: One Top LuLaRoe Fashion Consultant Uses Text Message Marketing To Sell LuLaRoe On Facebook, And Is Now In The Top 3%! Last week I had an opportunity to speak with Ashleigh who as you will soon discover is a TOP producer for LuLaRoe. Just a year ago, she was a teacher. Then her life changed when she had twins – and she wanted a way to stay home with them… and still make some money. Ashleigh worked very hard to achieve her success, as you will see… and now she is in the top 3% of all LuLaRoe Fashion Consultants… She is a true LuLaRoe Success Story. You can visit her facebook group here. After a bit of a pause, Ashleigh opened up. “I stated LuLaRoe in 2016. I had just had twins… and at the time I was a teacher. 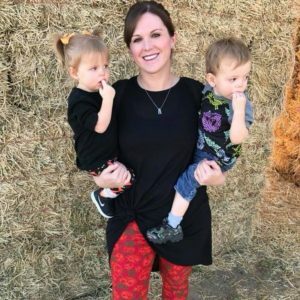 I wanted to be home with the kids.” That’s when she started working on her LuLaRoe success! “Since I started, being a top seller was always a goal.” said Ashleigh. She worked hard to accomplish this goal. Everytime she met someone… she asked them to host a LuLaRoe Party. She kept booking party after party and worked hard to meet people and network. Clearly, she has found success. This year she reached the top 3% of all LuLaRoe Fashion Consultants! What a great success story. The Biggest Problems LuLaRoe Fashion Consultants Face. The Facebook Algorithms changed and her customers didn’t see her posts. You know what… she’s right. Getting people to engage – anywhere – is difficult. We recently posted an article about getting better engagement from your text messages… you can find it here. Getting engagement is critical, so follow some best practices to really stand out. A few big ideas… always make your messages interesting and timely. Have a reason to text people… oh, and don’t forget to ask them to reply back. How Ashleigh Uses Text Message Marketing for LuLaRoe Success. I was curious how Ashleigh was using Text marketing… and it really came down to two types of messages. 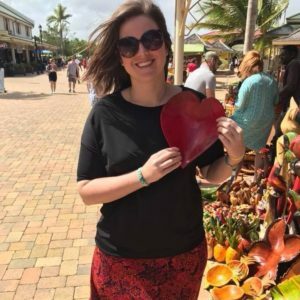 First she segmented her lists between those on her facebook events (who could be located anywhere in the United States) and those in her local area who attended a live in person event! She only texted people when she was about to go live on Facebook… and a separate text to let Local people know about her hours. Ashleigh also had a VIP texting group where she sent people a welcome message too. I asked Ashleigh how she gets people on her texting list. When she started her business, she’d offer a giveaway to get people to sign up. But now that’s changing. People just want to hear about her events and when she goes live… so she’s been getting sign ups WITHOUT having to offer a gift, or giveaway! 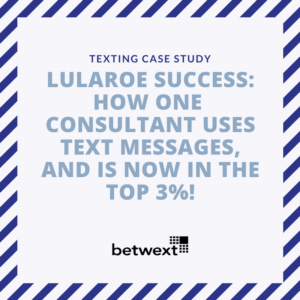 Now she does tell people that she sends special offers to everyone on her texting list… and that does help drive signups. Who doesn’t want to be part of a special group! I asked Ashleigh straight up, why she used Betwext.com for her texting. She mentioned it was recommended to her by a consultant she was working with. She said a lot of her other group members tried using Twitter’s SMS… but it was full of problems. Going forward Ashleigh said she’s going to use texting to communicate about special events and offers. She’s also looking at using the MMS feature to send pictures via texting. My Interview with Ashleigh was Fantastic. To get the inside view on a very successful LuLaRoe Fashion Consultant is amazing. 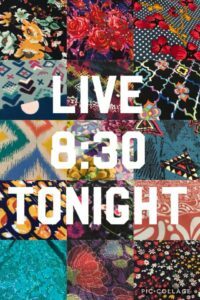 To learn more about Ashleigh find her LuLaRoe Facebook group here.